Which mortgage lender should you use? Principality Building Society has been named the best mortgage lender in Britain for customer service, with First Direct and Nationwide coming in joint second. A Which? survey of more than 3,500 customers looked at customer service, the mortgage application process and value for money. It found Principality BS achieved a customer score of 80 per cent and nine in 10 customers said they did not experience any problems with their mortgage. The building society was rated five stars for flexibility of payments on its mortgage, and 97 per cent of customers were satisfied with their mortgage. First Direct and Nationwide both scored 77 per cent to come in joint second. Virgin Money came fourth with a score of 76 per cent, Coventry claimed fifth place with 75 per cent and Skipton received a score of 73 per cent to come sixth. Kensington came at the bottom of this year’s table, with a customer score of just 56 per cent. The lender received two stars on value for money and Which? found that two thirds of customers were paying the standard variable rate on their mortgage. However, Kensington specialises in lending to people with bad credit ratings or complex circumstances, so its rates are higher due to the increased level of risk it takes on. A statement from the lender said: ‘We continue to work on simplifying our business and enhancing the customer experience. Where customers are dissatisfied with their mortgage, we work closely with them to resolve any concerns. Accord Mortgages, the intermediary-only arm of the YBS Group, also gave a disappointing performance, with the second-worst customer score of 61 per cent. One in seven of the customers were dissatisfied with their mortgage. A spokesman from Accord said: ‘We always welcome feedback and actively seek it on every case we do. We’re therefore surprised by these figures as our own independently conducted research shows 86 per cent of Accord customers say they are satisfied with the service they receive. Scandal hit TSB came 12th in the rankings, above Santander and Barclays, with an overall customer satisfaction score of 70 per cent. To figure out the overall satisfaction score, Which? also asked customers to rate their providers on ease of online access, and clarity of statements. Gareth Shaw, Which? money expert, said: ‘Choosing the right mortgage for you will probably be one of the biggest financial decisions you ever make. 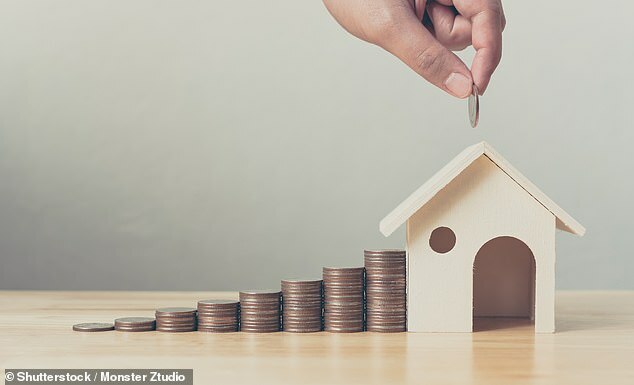 Mortgage broker Andrew Montlake, of London-based broker Coreco, added: ‘When left to navigate the thousands of mortgage products on offer without a helping hand, it can often come down to just rate – which is the cheapest deal? ‘But this can end up costing customers far more than they should be spending – both in money and time. ‘When a broker recommends a deal we look at the overall cost of the loan, whether it’s the right deal and also if it’s the right lender for you because we understand how each lender works, how quickly they can solve potential issues and how easy they are to deal with.